Kids love Christmas and almost everything about it – except, perhaps, waiting for the big day when Santa arrives. This wait can sometimes seem even longer when they’re out of school and have “nothing to do.” I’ve you’re starting to hear cries of “I’m bored!” here are some easy Christmas crafts to keep everyone busy and happy. Christmas Placemats: Tear the backs off old Christmas cards (the part where where the writing is). You’ll need about three regular sized Christmas cards to make each placemat. Have the kids glue the cards decoration-side up on colored construction paper. When the glue dries, cover the craft front and back with clear contact paper, making sure there are no open ends or gaps. Kids love setting the table with their own special Christmas place mat. 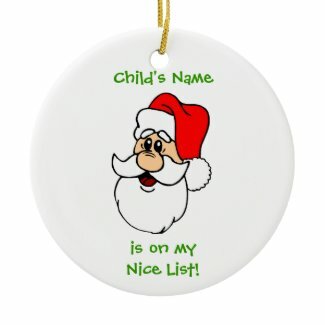 Santa Ornament: This makes a great little gift for kids to make and give their friends, family or teachers. You’ll need some large plastic ornaments, wooden balls and other materials that you can find at the local craft store. For the ornaments, get the kind that will allow you to open them up and place items inside. Now open the ornaments and fill them with peppermints, and then secure them closed again. Next, glue some googly eyes on a medium-size wooden ball. Once the eyes are set, glue the wooden ball onto the top the plastic ornament. Next, add cotton hair for the head, mustache and beard. Glue a red felt ‘hat’ on top of the hair. At the base of the ornament, glue a long piece of black felt for Santa’s belt. Glue the front bottom of the ornament to a thin wooden heart that’s been painted black. The curves in the heart will be Santa’s feet. Christmas Countdown Chain: For this popular craft, you’ll need red and green construction paper cut into thin, even strips. The kids can decorate the paper strips with Christmas writing and glitter glue. Form the strips into connecting circles and glue each one closed. Once the glue is dry, hang the circle within easy reach of the child. Each day that passes until Christmas, the kids get to tear off one of the links of the chain. Candy Cane Reindeer: This craft is an oldie, but is still a favorite among children. All you need are candy canes, googly eyes, pipe cleaners, mini pom-poms and glue. At the top of the candy cane, glue a pipe cleaner, twisting it into the shape of antlers. Glue googly eyes on either side of the reindeer ‘head’ and add the nose to the end of the candy cane. Cookie Cutter Ornaments: To do this craft, you’ll need an assortment of cookie cutters in various holiday shapes. Snowmen, Santa, trees and bell shapes all work well. Place each cookie cutter on colored construction paper and trace around it, then cut it out. 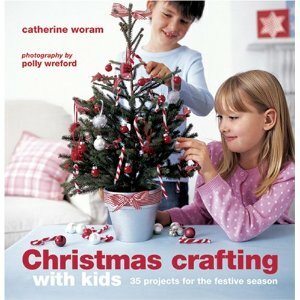 Have the kids decorate each cut out with glitter and mini pom-poms for Christmas balls on the tree. For the snowmen, use mini black pom-poms for his buttons. You can use googly eyes on the snowmen and Santa. Once each ornament is finished, use a hole puncher to punch a hole at the top. Thread thin ribbon through the hole and let the kids hang their special ornament from the tree. Now sit back and enjoy all the wonderful crafts your kids have made!